For, since and ago are used to talk about time. For is used to indicate a period of time. It is often used with the Present Perfect. Since is used to refer to the starting point of actions of situations. 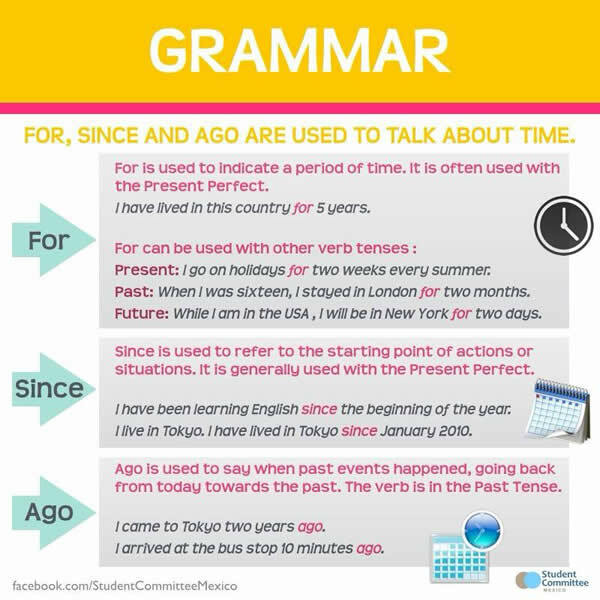 It is generally used with the present perfect.